Sometimes simple washers don’t do the trick. Washers are used to seal cable glands to prevent water and other substances getting inside, but they can also be used to stop components shaking loose. That is where serrated washers come in. 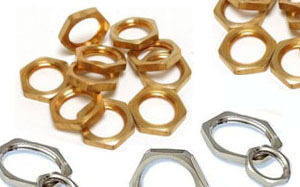 Kingpin provide serrated washers that are used to help prevent vibration and subsequent loosening. This threat is prominent in any mechanism or area where vibrations are frequent. A traditional washer may become dislodged over time with the sheer volume of vibration it is subjected to. This can be highly hazardous, to both the quality and the safety of the cable gland set-up. Considering some of the appliances that could be affected, this could be very detrimental. 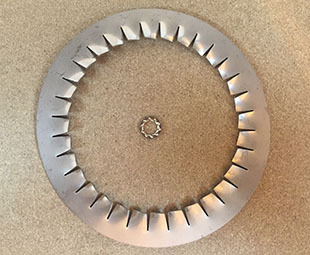 But serrated washers have been designed to be shakeproof. These lock washers will maintain the structural integrity of your cable gland, with the internalised teeth keeping everything in place. This removes the possibility of the cable gland unexpectedly becoming unsafe. 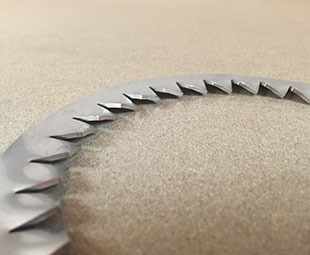 So just what appliances could use serrated washers? Well, all cable gland set-ups can become dangerous if they become loose, but the chances of the majority being shaken loose are remote. Serrated washers find more use in appliances that are present in areas with high levels of vibration. For example, events and shows where loud noises occur are producing a lot of vibrations. A power cable providing the stage with electricity can become loose if subjected to high levels of vibrations, so a serrated washer would be used to hold things together. 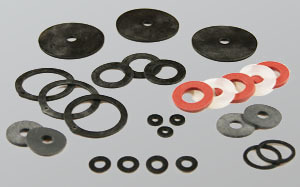 Similarly, in a situation where a loss of power can be incredibly costly, serrated washers are a necessary inclusion. Oil rigs are a great example – a loss of power can put lives at risk, and see millions of pounds go up in flames (almost literally). Kingpin also supply to other industries outside of the cable gland sector. So regardless of the electrical products you make, we can supply you with elite quality serrated washers that won’t let you down. Kingpin stocks 316 Stainless Steel, the standard material (certificate on request) although BZP is also available. When you order from us, you’ll be dealing with our staff directly. So you won’t have to deal with inaccurately manufactured serrated washers from a third party source – what you order is exactly what you’ll get. 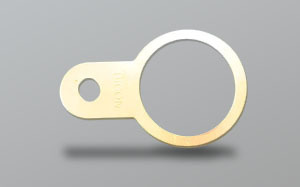 A vital part of any cable gland set-up, Kingpin’s earth tags provide the gland with its own earthing point. They are available in many different materials and sizes. Another important part of the typical cable gland, locknuts essentially keep everything locked together securely. These are also available in a selection of sizes and materials. If you’re looking for more conventional washers, click above to see the entire range offered by Kingpin manufacturing.